There are different types of smoke detectors to be aware of. Smoke detectors can detect based on an ionization method or an optical method, some smoke detectors combine both of these methods in order to deliver the best detector possible. Ideally the best type of smoke detector to have is one that can detect both via ionization and optically. Optical detection smoke detectors check for smoke in the air with a sensor that can “see” particles of smoke. Ionization smoke detectors measure for smoke using low level radioisotopes. 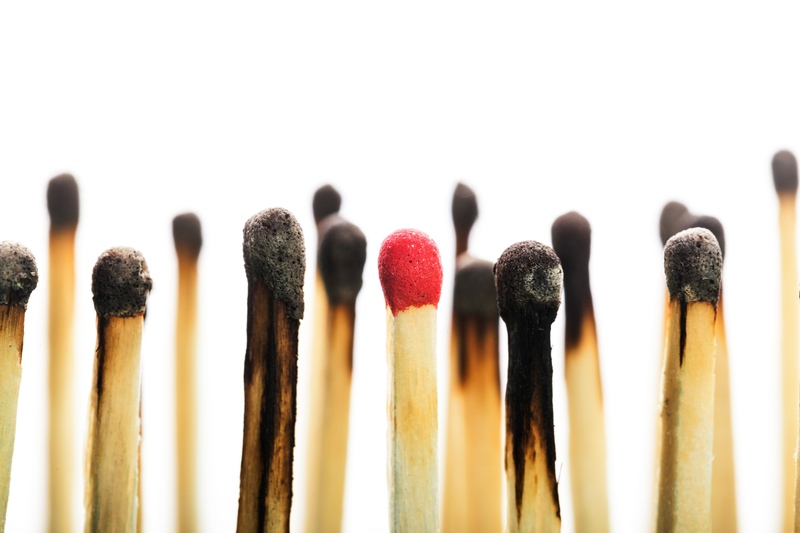 Optical smoke detectors are better at detecting early smoldering stages of fire whereas ionization is better at detecting flaming stages of fire. Certain alarm companies will also provide monitored smoke detection systems that can automatically contact your local fire department if a fire is detected. Usually these systems are tied in with a home security system (which can also qualify you for a further home insurance discount) and are monitored by the home security company. There are also a number of smart smoke detectors like the Nest, Onelink, Leeo that can notify you via smartphone application if fire or smoke is detected in your home. Some of these smart smoke detectors can integrate with your home’s heating and cooling system so that in the event a fire is detected the ventilation can be shut off to prevent the spread of fire. Many state and local building codes require the installation of smoke detectors in new construction homes and anytime new updates are made to existing homes. Regardless of your local building code all homeowner’s insurance policies will give you a discount on their insurance premiums when you have smoke detectors installed in the home. So not only can smoke detectors save you money they can also save your life and home at the same time. Another beneficial device to have in your home is a carbon monoxide (CO) detector. Not only can CO detectors detect CO put out by house fires but they are often recommended for homes where there are indoor fireplaces. Improperly vented or clogged fireplace chimneys can result in CO gas seeping into the house and poisoning the air you breathe. If you regularly use your fireplace whether with gas or wood, having a chimney sweep and inspection done on a regular basis is also a good preventative measure. Not only is there risk from indoor fireplaces there is also CO risk from older HVAC systems that burn gas to provide heat in the cooler months. With older systems as components wear out there is the possibility of CO gases leaking into the home and being pumped throughout the house. You can be safe by installing a relatively inexpensive CO detector and having your older HVAC system checked and tuned up on an annual basis. 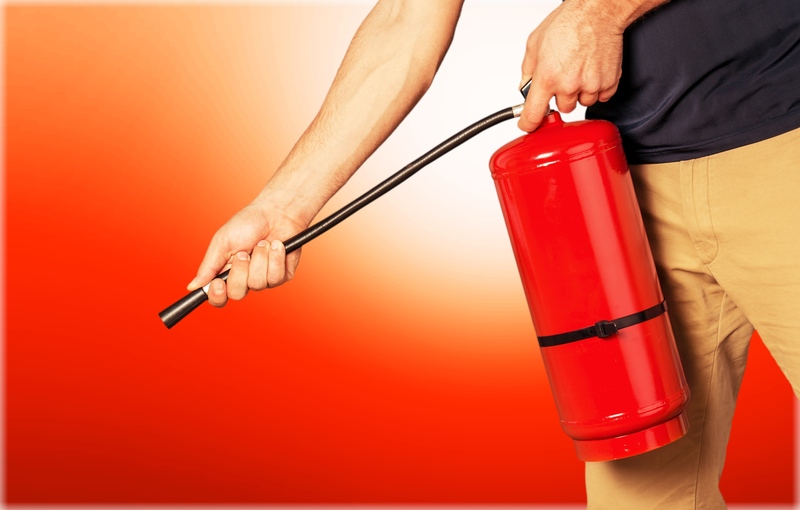 Fire extinguishers should be kept in your home in the main areas where fires can be started through household activity. The most common areas to keep a fire extinguisher are the kitchen and the garage since with cooking or working with gas and lawn equipment the chances of starting a fire are greater. Fire extinguishers should be readily accessible and anyone who will be expected to use it should be familiar with the operation of it. Additionally fire extinguishers should be regularly checked to ensure they are still functioning by checking the pressure gauge (if present) to ensure the will work if the need does arise. While not as common in single family residential homes, sprinkler fire suppression systems are available for home use. These systems are often best installed when the home is being constructed although they can be installed later on in a finished house and provide an effective way to stop fires in your home. Just as found in some commercial and apartment buildings these overhead sprinkler systems are designed to spray water in order to stop a fire in your home. Many homeowner insurance companies will offer insurance premium discounts for homes that have working sprinkler fire suppression systems. It is also important to pay attention to the garage and to the outside of your home to minimize risk of fire starting in those places. Keep any firewood that you have stacked up outside away from your home and away from any building that is close or attached to your home. If there are any dead trees, dead and dried up plants in your landscaping they should be removed from your yard to minimize the risk of them catching fire and spreading to your home. By having low water landscaping plantings or watering your landscaping on a regular basis you lessen the chance of any close by dead plants becoming a jumping point for fire. If you are storing lawn chemicals and other lawn equipment in your garage (lawnmower, chainsaws, weed whackers) you need to make sure sources of ignition and fire are kept separate from those items which are flammable or have flammable fuels in them. Gasoline can dissolve certain plastics causing the gas to leak and become a fire hazard from the vapor or liquid fuel and as a result gasoline, propane, kerosene and any other fuels should be stored only in containers meant for their use. Some fuels/chemicals can also be ignited based on high heat so care should be taken as to where they are stored so they do not come in close proximity to hot engines, grills, or other heat emitting equipment. One of the things that can be forgotten in the fire prevention thought process is how do we save our memories from fire. Many of us have many memories of past events kept on photographs, videotapes, DVDs, and many other types of digital media. Most of these items that have our memories recorded are very sensitive to high heat and even with only a minute or two of exposure to high heat everything can be lost. The best way to protect your digital and physical memories is to keep them off site. While some of our physical photographs we prefer to keep on display in and around the home keeping the rest and other original/duplicate copies of photographs offsite from your home ensures that if a fire does break out those memories will not be lost. If offsite storage is not feasible for you then store those physical memories in a fire resistant safe within your home. With a fire resistant safe you still have access to those saved memories when you want to look at them. With digitally stored memories whether they be photographs or videos of family gatherings it is much easier to make multiple copies of these memories and store them in multiple different locations. With portable thumb drives and flash memory drives coming in sizes of 128GB or larger making multiple copies of important memories and storing them in different locations becomes easy. If you don’t want to bother with physical drives that need to be backed up at different times then there are many online backup solutions that allow you to store large amounts of data on servers located outside of your home. Not only do these servers get backed up on a regular basis but they are accessible with any computer, smart phone or tablet anywhere you can get an internet connection. Depending on how many pictures and videos you need to store these online storage providers offer a variety of plans with different levels of storage to help you safeguard your digital memories. While your insurance may reimburse you for any losses suffered due to a fire, recovering from a fire in your home takes more than money to fix. By taking proactive steps like making sure your smoke detectors work, keeping flammable chemicals and fuels in their proper containers and keeping up on maintenance of heating devices in your home you can help reduce the risk of fire damaging your home. 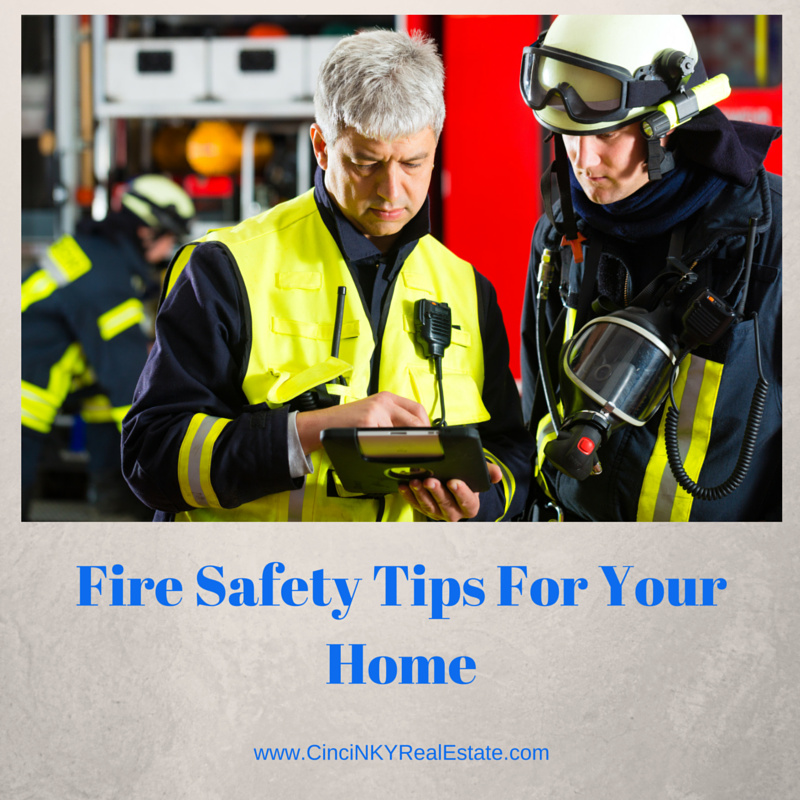 About the author: The above article “Home Fire Prevention Tips” was provided by Paul Sian. Paul can be reached at paul@CinciNKYRealEstate.com or by phone at 513-560-8002. With over 12+ years experience, if you’re thinking of selling or buying a home, I would love to share my marketing knowledge and expertise to help you. Contact me today!